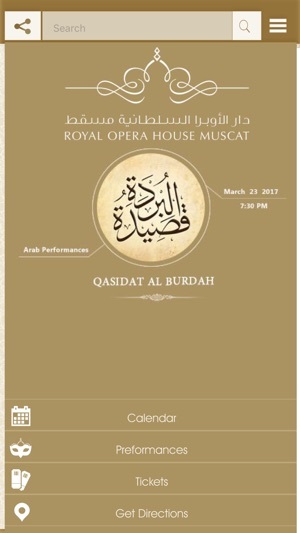 When visiting Oman, it is joyful to include your trip plan time for attending performances and shows at Royal Opera House Muscat (ROHM). 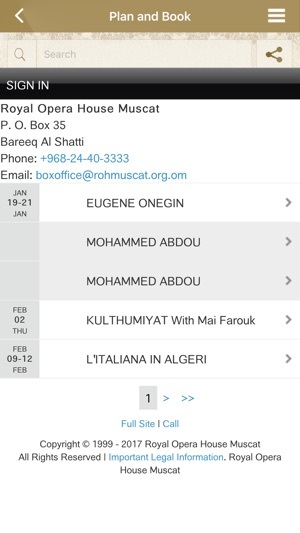 The ROHMuscat app is the simple, fast and secure way to plan and book your favorite shows out of offered genres (Opera, Ballet, Concerts, World Music, Jazz and other shows). 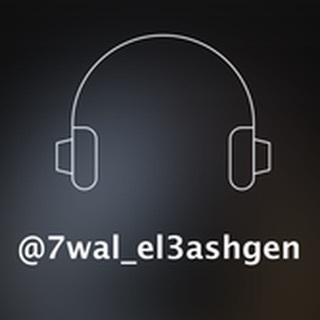 The app is offered in two languages' (Arabic and English) and is compatible with iOS. 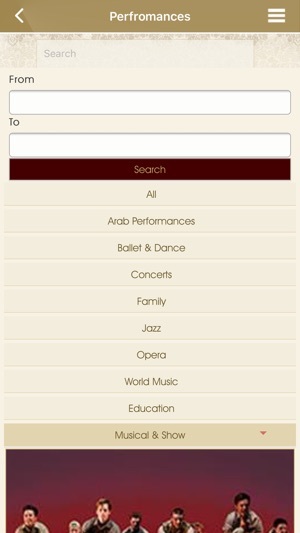 - You can search for performances by specifying performance genre or name. 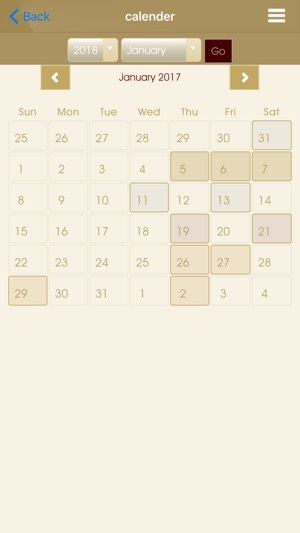 You can also share the link with your friends via email and social media apps. 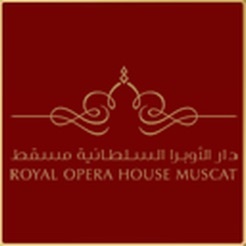 -Access to the pricing structure along with the theatre seating plan.